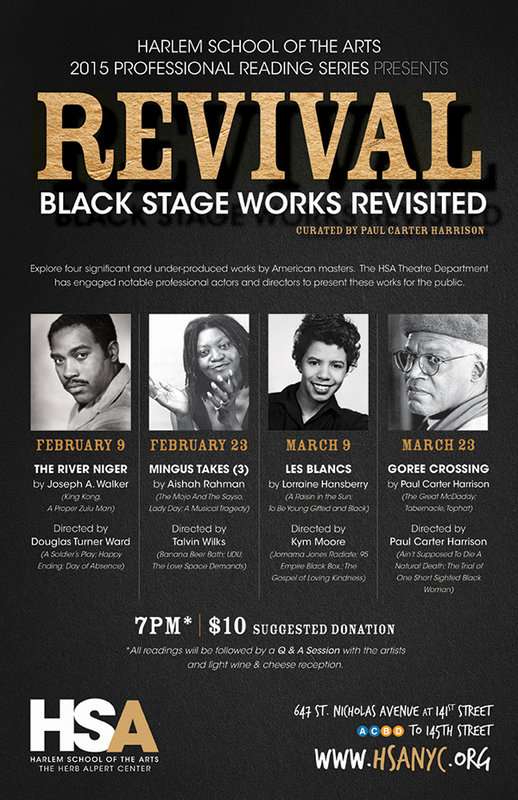 The Harlem School of the Arts’ Professional Reading Series will be exploring four significant andunder-produced works by American masters. HSA Theatre has engaged notable professional actors and directors to present these works for the public. All readings will be followed by a Q & A session with the artists and light wine & cheese reception.